Captain Md. Babul Hossain, Master Mariner (Singapore), joined in International Maritime Academy (IMA) as a Nautical Instructor on 1st of January 2013 after his 20 years of active sea carrier. 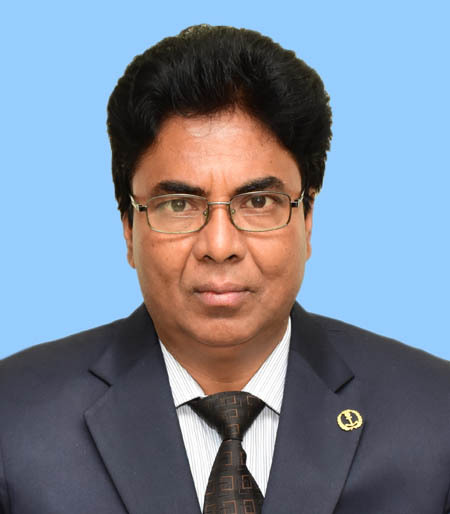 After passing higher secondary school (HSC) from Rangpur Carmichael college, he successfully completed 2 years pre-sea training course as a nautical cadet in Bangladesh Marine Academy, Chittagong (27th batch) and passed out in the year 1992.During the pre-sea training in Bangladesh marine Academy, he also obtained the B.Sc. in Nautical Science degree under the Chittagong University . In april-1993, he started his sea-going career with Bangladesh Shipping Corporation as a Deck Cadet. He completed more than 3 years on board cadet training on various types of foreign going general cargo vessels in Bangladesh Shipping Corporation. Captain Babul achieved his Certificate of Competency of Class-3 (Deck) from Cork Regional technical College, Ireland, C.O.C Class-2(deck) and Class-1(deck) from Singapore Maritime Academy (Singapore). After obtaining the C.O.C Class 3(deck) from Ireland, He joined as a third officer on board a pure car carrier vessel in Barber Ship Management. After that from 1999 to 2012 he was continuously working on various types of vessels-such as general cargo, container ,bulk carrier in IMC shipping company–Singapore (IMC is one of the well known ship management company in Asia).In between for gathering experience, he also served as chief officer on a Cape size bulk carrier in Mitsui OSK lines. His vast sailing experience mainly comprises of about– 2 years as a Master in bulk Career, 7 years as a Tr. Master/ Chief Officer in bulk carrier and general cargo vessel and about 8 years as a 2nd/3rd Officer in general cargo, container, bulk carrier and Pure Car Career vessel. The aim of Captain Babul is to produce high skilled seafarers by providing quality education and training to the candidates in IMA (Conducted pre-sea training course) as well as in BMTI(Conducted class 1,2,3 preparatory courses and various short courses), so that on board the vessel accident and incident will be minimized/prevented , the vessel will be operated safely in high standard way with a great satisfaction of all the concern parties as required by the company and finally to create a good demand of Bangladeshi sea farers in the market of maritime industry.